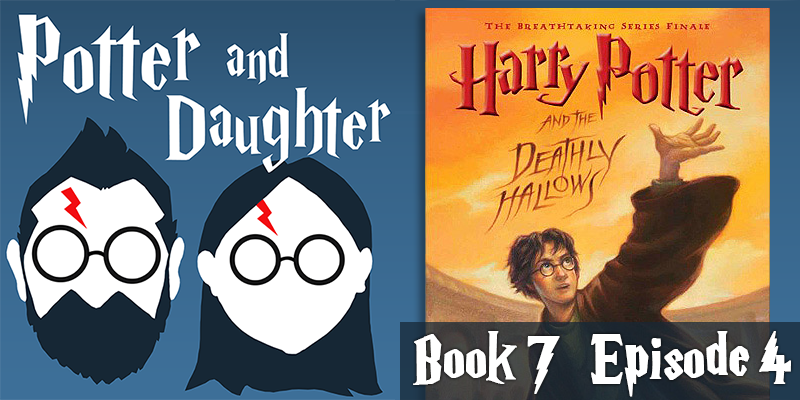 In episode thirty-one of Potter And Daughter Joel and Lily discuss the events of Harry Potter And The Deathly Hallows chapters 20-25. Harry and his friends visit a friend’s father and learn that a famous fable might hold the key to defeating Voldemort. Harry becomes obsessed with a new quest at the expense of his current one, then finds himself and his friends held captive in the heart of The Dark Lord’s operation. The trio says goodbye to a faithful friend, while Voldemort claims a long sought after item that could make him stronger than ever. Harry uses what he’s learned from a Goblin and a wand maker to formulate the next part of his plan to defeat Voldemort.